Concept Win, one of the most important stallions in the development of the Korean breeding industry over the last decade, has passed away. The 23-year-old dislocated a hip and, having failed to respond to treatment, was euthanized at the Jangsu Stud Farm in Jeolla Province last month. The winner of 9 races from 30 starts in the USA – all in California – from 1992 to 1996, Concept Win [Manila – Conveniently (In Reality)] was imported to Korea in 1997. Best known for his fillies, Concept Win sired Luna, one of the best-known racehorses in Korea during the past decade and whose exploits were turned into a movie. However, his best was perhaps Sangseung Ilro, who won the KRA Cup Mile and Korean Derby in 2009 while finishing 2nd in the Oaks and 3rd in the Minister’s Cup. 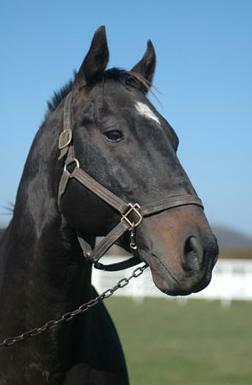 She went on to win the KNN Cup the following year, a race which another Concept Win filly, Yongduseong, won this year. He sired good colts too. Among them was Namchonuijijon, Ttukseom Cup winner in 2007. Concept Win was Leading General Sire in Korea in 3 consecutive years from 2004 to 2006 and finished among the top 5 on 6 other occasions.